I guess it's true when they say that expectation is the root of all the disappointment. Or, at least, it's surely quite obvious that, when your expectations aren't quite clear, you might become more open to good surprises. Poland, to me, has always just meant one of my best friends. I mean, a twin soul whose pen has happened to cross mine 12 years ago thanks to the will of a good fate - and, even if we had never had the chance to meet in person until now, we've got in touch so deeply since the early beginnings that I guess she is one of the persons who know more about me, including my own shadows. But about the country itself, I wasn't quite sure about what to expect. I guess that we Westerns end up to put all the ex communist countries in a sort of similar cauldron, as if the sovietic utopia of level them all and making them all standardized, cancelling their own identity and singular charachteristics, had finally worked out in the end. But this is just a blinding stereotype based on the sheer flaw of not knowing enough, of course. Poland's history is something much more rich and complex than the single chapter of communism: it's been a long story based too much on sorrow, which has ended up giving this country many scars - but also moulding its beauty. When I finally started to look for photos and information about the places I was going to visit in this trip, I've bumped into a huge collection of stunning places, both from natural and architectural point of view. I've got so enchanted that my first thought has been "Well - why isn't this country more popular as a touristic destination?". Maybe Polish people have something in common with us from Turin - we haven't even taken in consideration for years the possibility of some sane territory maketing. We are just not keen on boasting about what we have, simple like that. Or stupid like that, if you want. But anyway, this makes the surprise even more precious. 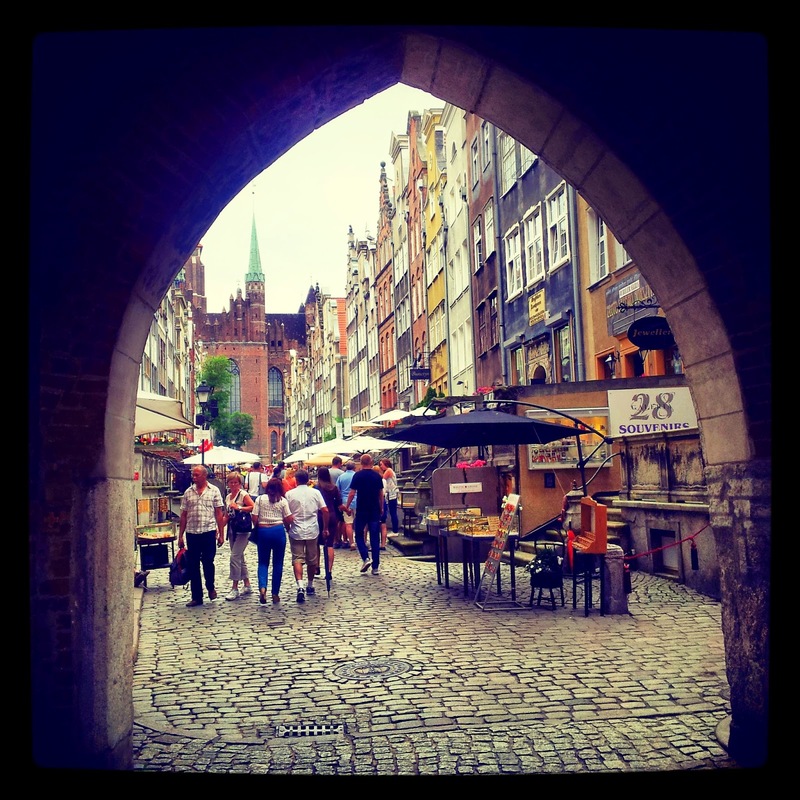 As the place where I was directed, Gdansk, was actually one of the most charming I've got to find after typing the word "Poland" in the Travel directory of Pinterest. And with it the forementioned reflections totally fit. Before visiting it, the only thing I knew about Gdansk was Solidarnosc and its strikes from 1980 which have passed to history as the first fissures in the Iron Curtain - therefore I had built in my mind an image of it as a city of brave and rebellious workmen. And of course it is, but I wasn't considering that such a city could also be so charming and colorful. It has the features of all the cities that have an harbour on the Northern sea, with tall and narrow colorful houses that crown the streams of water. Each one of these cities, anyway, declines this feature in its own peculiar style, and Gdansk's one is as delicate and graceful as the one of a bonbonnierre - with pastel colours and embroideries which look like sugar decorations on a cake. But this fairytale-like skyline hasn't been the set of any happy-ever-after kind of story. In 1945 the whole sugar-coated cake of the center of Gdansk had been transformed in a painful stack of crumbles by the Russian army - careless about the beauty of its architecture and about the importance of the history it was a witness of. But Polish people are used to the wounds caused by enemies, and have learnt to survive and to keep their pride high through them - so all the buildings, the churches, the gates and the streets have been faithfully riconstructed. They didn't give priority to rebuild the city as soon as possible, with the pragmatism that instead Germans used, with the results that many German cities are nowadays made of a few beautiful historical sights, surrounded by plain but useful cheap buildings from the early 60's. No, the Poles wanted it all back the way it's been, all exactly the way it used to be, not a brick less not a moulding more. All but some, whose ruins are still there, left as a sort of warning to never forget what's happened. Some may think it might be a bit self-defeating to remember the pain over and over again, as most of people think it's better to try to forget about bad things as soon as possible, as it's the only way to be able to move on for good. But I don't think it's really about remembering the pain: I guess it's more about remembering how they've been able to fight the pain and rebuild again what has been stolen from them. Pride is always the most powerful fuel to go on in spite of everything and the one thing which can give you the biggest strength. But of course it also have a certain degree of a negative side of the medal, which is declined into a bit of stubborness and closure in oneself. I'm not really talking about people, but about a sort of attitude of the country as a whole. 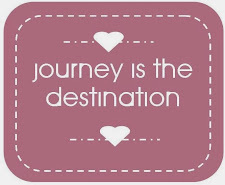 I've been told that it's not very easy to travel the country by yourself, expecially by public transport, if you don't know Polish and/or if you are not used to how things work here. I really cannot confirm or deny this: I've been hanging around all the time with my Polish friend and she's taken charge of all the practical part, checking/asking all the information and telling me where to go and what to do, so it's been pretty easy for me. I must admit that I've found some of the things we did a bit tricky - I mean, I wouldn't have realized them immediately by myself, but I'm not able to tell how long it would have taken me and how would difficult it would have been to find it out if I were alone, nor how many mistakes I would have made and if I would have found myself on a train to Krakow instead that to Gdansk. Most of the times the information were just in Polish and sometimes there were no information at all. But well, dealing with some flaws in organization is well worth to enjoy the beauty of Gdansk. [Just a short disclaiming note, by the way: the situation from this point of view in Italy is not much different. Actually the only difference is that Poland anyway is a country which is growing, economically and touristically: Italy is a country which is crumbling. So, if maybe I can expect Poland to improve, I fear I am quite hopeless about Italy. So - please - Italian tourism's stakeholders: don't take the phrase above as an excuse to justify our lacks. 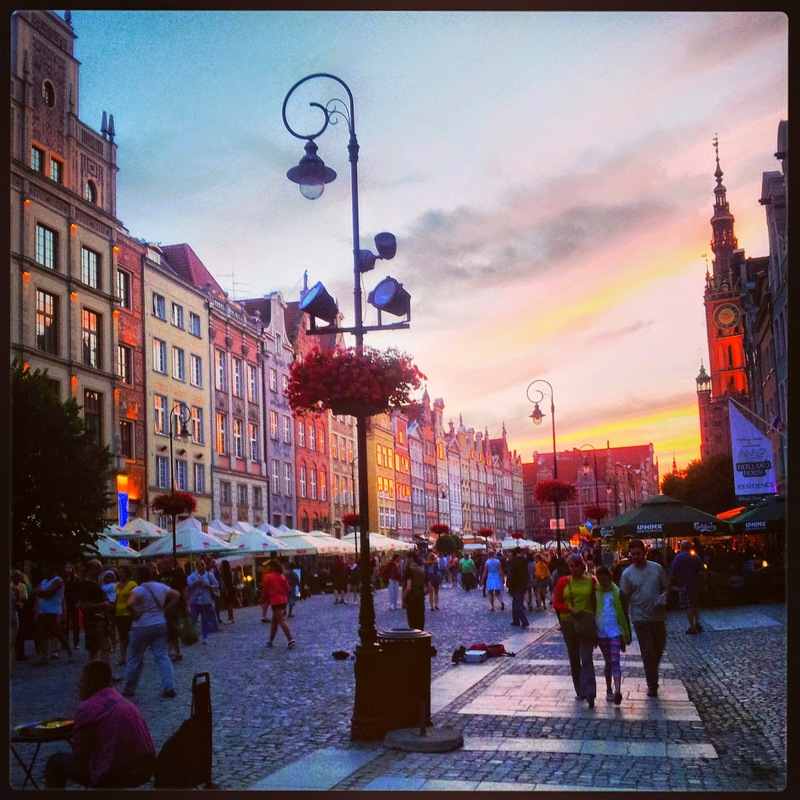 I've been visiting Gdansk first at sunset. It has introduced itself with a red and blue melting sky, its pastel colour houses along the Dlugie Pobrzeze mirroring themselves into the Wisla and the wooden ships in the river framing the picture, as some sort of old times postcard, or even painting. To step inside the Old City, you have to cross the Brama Wyzynna (Upland Gate), which is a remain of the old city walls - both imponently military, with its weapons and drawbridge, and graceful, thanks to its golden statues and frets. The writing that engraves it says "Iustitia et pietas duo sunt regnorum omnium fundamenta" (Justice and mercy are the fundaments of every kingdom) and is supposed to be very serious and wise, but it's turned out to be funny and self-mocking, because nowadays the most visible part is just the last piece, claiming that the fundament of everything is rum. But I guess that here it should be vodka, instead. On the entrance of the gate there is a small kiosk selling Serki Wedzone (grilled smoked cheese). A bite of it, with or without cranberry sauce, and you feel ready to step into the fairytale, just like Alice in Wonderland with her mushrooms. And you are even accompanied by the enchanting music of a violin, to enhance the magic even more. The tall, pastel houses surrounds you like trees in a magical forest, and each one of them has a story to tell, which has left its sign through the misteries and metaphors laying behind the symbols decorating their facades and roofs. The sunset which is firing the sky right now seems to recall the same delicate and variegate colours that paint the houses. It looks like being in a living painting which doesn't only entertain the sight, but also the other senses, through the scents of food, the sound of violins playing and the lights of the streetlamps giving it another kind of depth, making the emotion alive and continously changing like the game of shadows played on the street and the buildings like a theater. The heart of this living fairytale is the Main Town Hall, whose pinnacle dominates the skyline of the city like a lighthouse, giving direction and leadership to the rest of the surroundings. The Town Hall is guarded by a divinity: Neptune, the god of the seas, in the shape of a bronze statue emerging from a fountain. This statue has been packed and hidden during the war, but this doesn't mean that the god has escaped in front of the danger and the drama: he simply went to a place where he could keep on protecting the city. This fairytale street called Dlugi Targ finishes with a magnificient four-arched gatehouse called the Green House, which had been built for the Polish monarchs when they were to visit the city. But its beauty actually hides some kind of rotten soul, because it is located so close to the waters of the Motlawa river that, back in the days, not only its interiors were incredibly humid, but also pretty much stinking. Such a cunning move from the Gdansk inhabitants to avoid the not so welcome visits of their governors. But the fairytale doesn't finish with this street nor with this sort of Ginger House for kings: it keeps on flowing along the river, all the way through the Dlugie Pobrzeze, with its pubs and the trelley houses with a German appeal that reflect in the water; and then, at one point, it turns right into another magical alley, called Ul Mariacka. Here the fairytale gets more intimate, more cosy. Here the fairytale turns into poetry. There are painters here, there are antique shops, there are jewels made of amber, there is such a delicate but everlasting concentrate of beauty that it leaves you enchanted, like a melody that speaks to your heart, or the first moment when you realize you have fallen in love. The stone gargoyles no longer work to get rid of the rain, but simply to give a gothic touch to the romantic, 800'sque atmospheare of it. And this detail actually resembles the sort of look the whole city has: a cute and tendere appearance, just like a bonbonnierre, but with a gothic, darkly intense soul. My second visit happened during an incredibly hot afternoon with 35° C and the 754th St. Dominic's Fair's stables filling the alleys. The insane amount of people hanging around and the heat has made partially vanish the magic of a couple of nights before; but the St. Dominic Fair is a tradition that lasts since 1260, and the today's crowd might be a bit annoying, but doesn't really compare with the risk you could undergo during the Middle Ages with Theutonic Knights coming to crash the party and kill the merchants. The fair is a feast for the senses with its inviting smells of sausages and of grilled smoked cheese; and it's also a feast for my wallet, as it seems black cats-related items are incredibly popular among the craftmen here. Mariacka is still an oasis of peace among the jams of the fair: there is still beauty, and silence, and cats lingering through its old reflective buildings and cobbled pavement. Wait, actually here there are cats just everywhere, it seems. 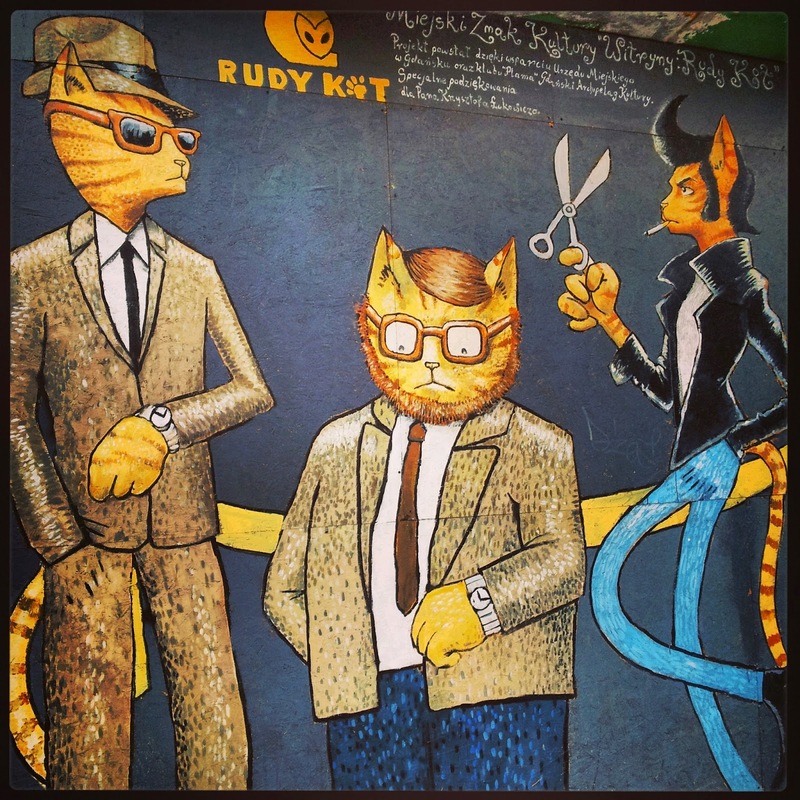 Black ones, tabby or ginger, hiding in the bushes, rubbing their muzzle on dry plants, sleeping on doorsteps or simply laying drawn with human features on walls around the station. So perhaps this is not actually a suprise, Gdansk. Lovely photos! Poland looks beautiful, I have a Polish friend that tells me a lot of stories about her homeland but it's so interesting, she said a lot of Polish people don't want to stay in their home country, they prefer to go somewhere else. She's a super outgoing girl, very adventurous and very open minded but with such deep cultural and historical roots. I'd love to see it for myself one day. This tiny slice of Poland I've seen was awesome indeed. 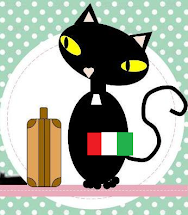 I can relate to what your Polish friend told you: I can't deny Italy is beautiful, but it's just getting more and more difficult to live here - so I'd also prefer to move abroad. But still I'm not able to make this step! I have always wanted to go to Poland - my passion for history makes it high on my list of places to see. You either are a very good photographer, or the place is really pretty - or both :) And I love the shot of the cat - a bit hidden, but a cat lover will spot cats anywhere! Well, I must say the place was stunning, so pretty photos came out very easily. 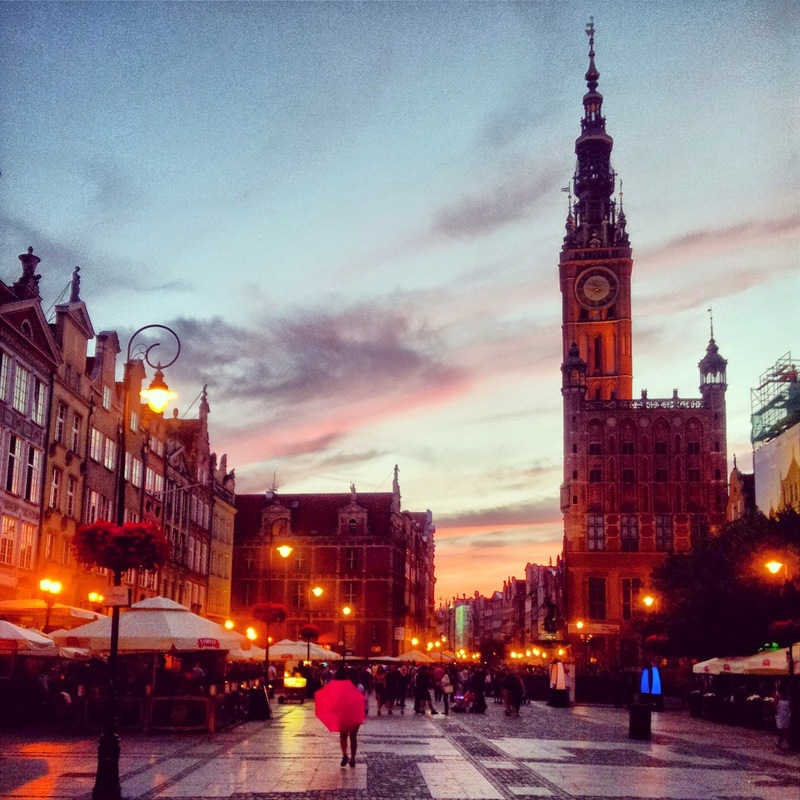 Poland is a beautiful country with a very dramatic history - and this history has deeply determined the personality of the places you visit. Eh eh, it's a good excuse indeed! I definitely want to go back to Poland as well: there are still so many great places I want to see in this country!! Wow fantastic photos. I had never heard of Gdansk before now - Warsaw and Auschwitz were the only two places on my Polish bucket list. Though will have to plan a trip through here too - I love that they've managed to keep the historical symbolism even though the city has been reconstructed. 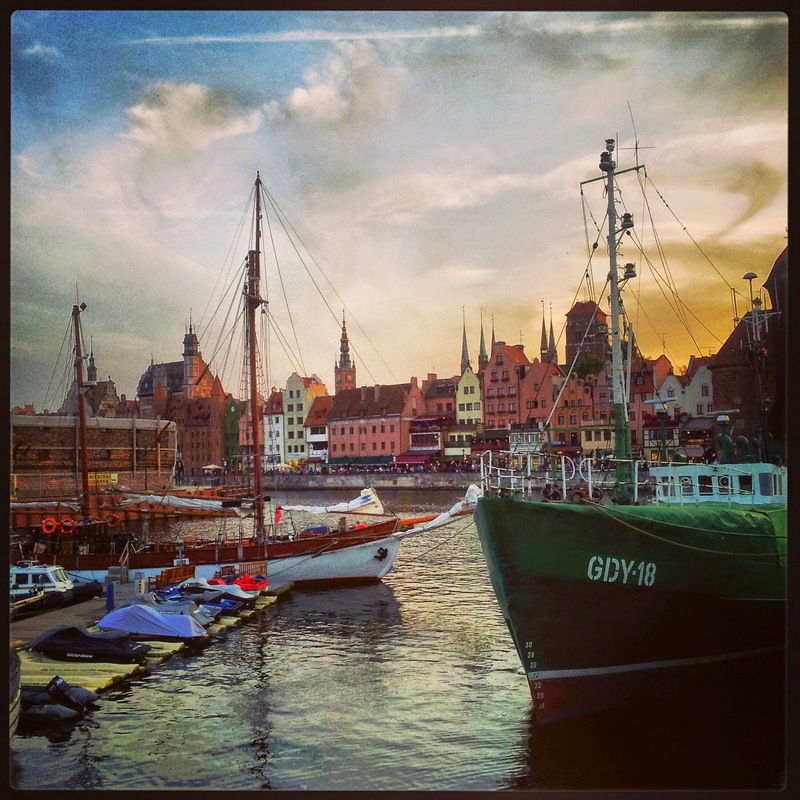 I only can recommend but visiting Gdansk: it's been a great surprise to me, and I'd definitely want to return. Yes, this thing that they have wanted to stay as faithful as possible to what the city was before getting destroyed is so great and touching. And this brave pride really gives a strong charachter to the city. I've been to Gdanks a couple of years ago and loved it. I was surprised by its colors and sights. It's not too large yet big enough to stay for a couple of days and be inspired by all the beauty. Have you made a trip to Sopot at the seaside as well? I loved that place, too! Yeah, my friend lives near Gdansk so we also visited some other places in the nearbies - Sopot is one and is the one I've liked the most straight after Gdansk. Then I've also like the Maribork castle. Haven't seen Warsaw nor Krakow so far, but I want to. That cheese thing was really yummy. Think about a sort of grilled scamorza affumicata, but thicker. 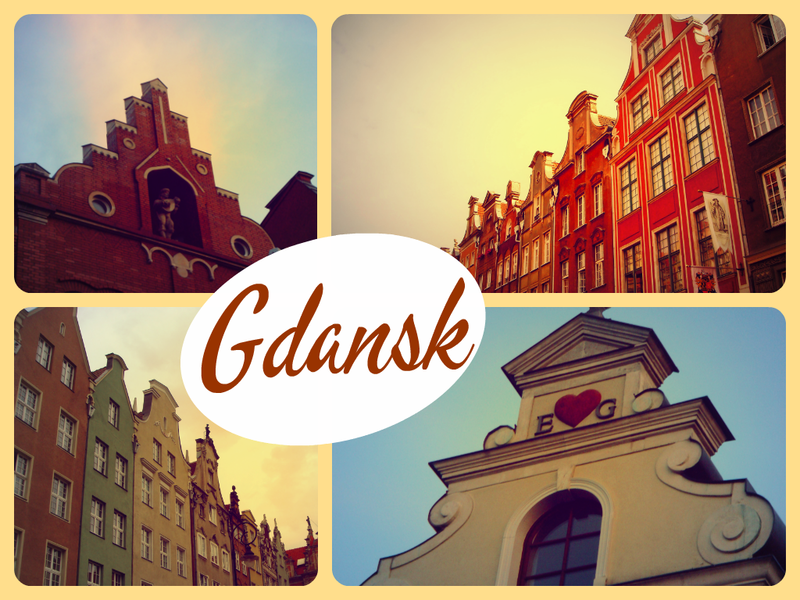 Gdansk looks adorable! I always love traveling to a place with few expectations--and even better when you have a friend to show you around! I will have to add this to my list of places that I want to visit in Poland! Yeah, having few expectations will make you able to get a more genuine impression of the place, without being biased by the image your mind will create. And it's also a great luck having a friend on the spot, because then you can get to visit the area seeing it with the eyes of someone who actually live there.